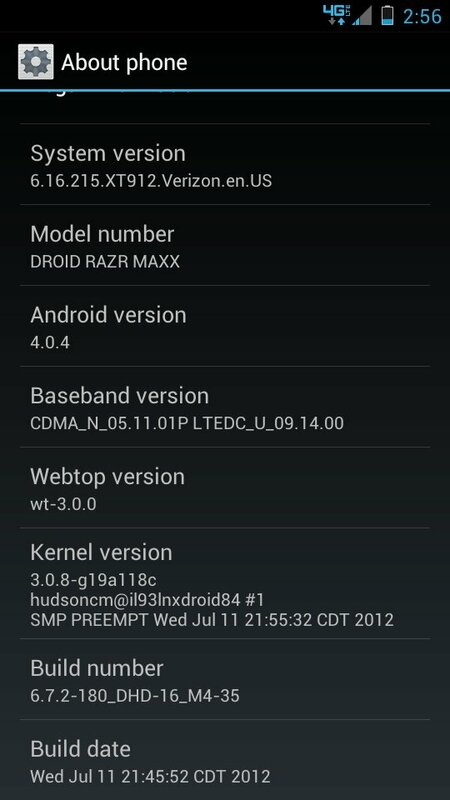 A new update has been found for the DROID RAZR on Motorola’s servers as build 6.16.215 and it looks to be an important one. The baseband (LTE radio in this case) and kernel have both been updated. Forum members who have already flashed this are claiming that they can tell a difference on the connectivity front, too. Along for ride is Google’s Chrome, though we aren’t sure if Moto is also removing the stock browser. An Atrix HD leak appeared last week that had Chrome included as well, so we’re thinking that Motorola is ready to accept the non-beta Chrome that was released a couple of weeks back, as the new standard for their devices going forward. In order to flash this, you need to be stock 6.16.211, which means no frozen apps. Also, if you want to return to 6.16.211, you can via RSD Lite and the leaked fastboot file from last week.